Queensland Island holidays are popular for their amazing location surrounded by the Whitsundays and World Heritage listed Great Barrier Reef. 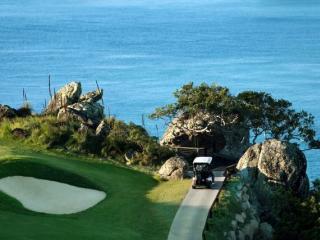 Queensland Island holidays with golf are one of the most unique leisure sport holidays available in Australia and are also one of the most popular. 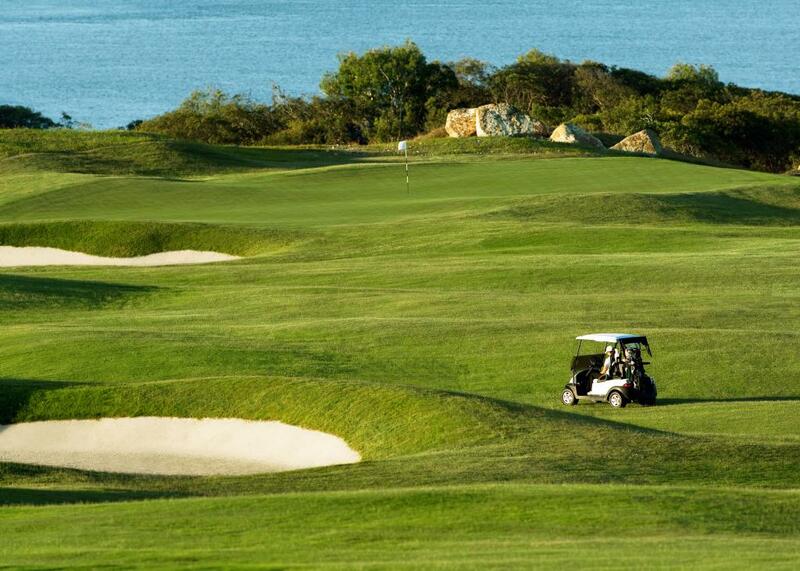 Imagine a golfing holiday in which you get to experience playing on Australia's only championship golf course on its own island. 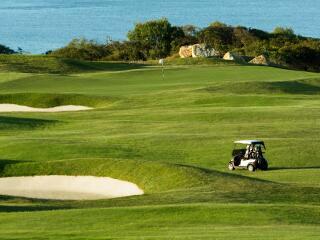 Thanks to Queensland Island holidays with golf, this sporting fantasy can become a reality at the Hamilton Island Golf Club. Despite what its name may lead you to believe this fantastic facility is actually located on Dent Island, right next to Hamilton and is available to all guests on Hamilton Island. An 18-hole championship course designed by Thomson Perrett's Peter Thomson, the course is challenging and exciting yet thoroughly entertaining with 71 pars to test your skills. 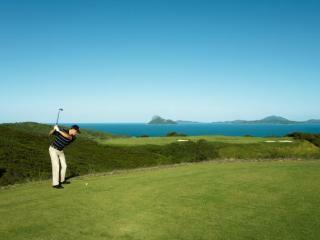 Enjoying panoramic views of the Whitsundays, Coral Sea and the Great Barrier Reef, the course is a favourite with beginners and professionals alike. Regular ferry services operate to the club and the facility is also home to a full service retail outlet complete with balls, accessories, equipment and even clothing from recognised brands such as Titleist, Callaway, Cutter & Buck, Sporte Leisure, Cross, Footjoy, Annika and Ahead. Facing out over the Coral Sea, 4 star Hamilton Island Reef View Hotel is renowned for its spectacular Whitsunday views and offers a range of accommodation options including family friendly rooms, terrace suites and even presidential suites. For a more affordable option, the 3 star Palm Bungalows offers free-standing accommodation on the north-eastern side of the island. Surrounded by lush tropical gardens, the resort is home to an excellent range of onsite facilities. The 5 star Beach Club is situated on the beachfront of famous Catseye Beach and offers a luxurious range of boutique accommodation with an adult's only policy that ensures a relaxing and peaceful stay. 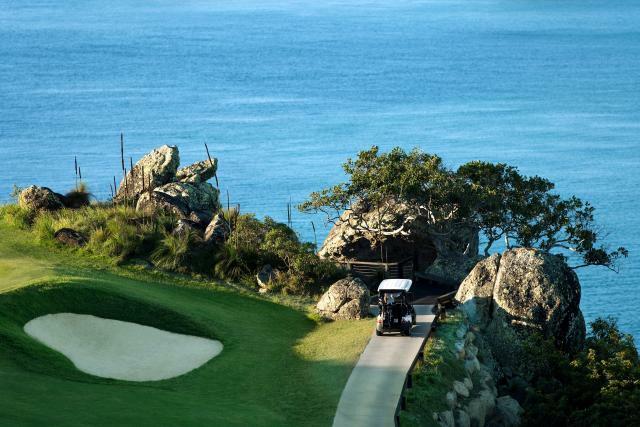 For a self-catering accommodation option, the 4 star Hamilton Island Holiday Homes are perfect for extended stays on the island and are designed to be your home away from home on your next Queensland Island holidays with golf. 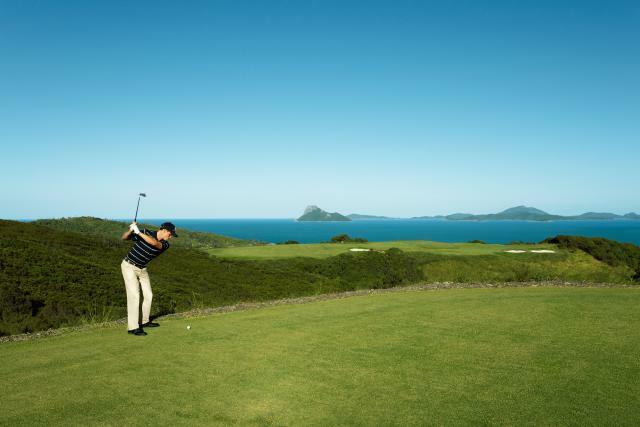 For an unforgettable holiday and one of the best courses you'll ever play on, these Queensland Island accommodation with golf offer a wide range of accommodation options to suit all budgets, travellers and golfers.